Time for some Dies To Die For and Tiddly Inks Inspiration. You know, sometimes the oldies are the goodies. We get sooooooo caught up in all the new gorgeousness as it gets released, it's really easy to forget about the old gorgeousnesses. Tiddly Inks Ellie was one of my faves when she was released, and I really fancied digging her out and playing with her. So, that's exactly what I did! Hey....awesome card with beautiful coloring as always! I love your coloring of this cute image. Fabulous card! Ohhhhh............. myyyyy............... goodness............ well, you know my address don't you?????? PINK hearts are fluttering from my eyes towards Derby... cos I ADORE this!! 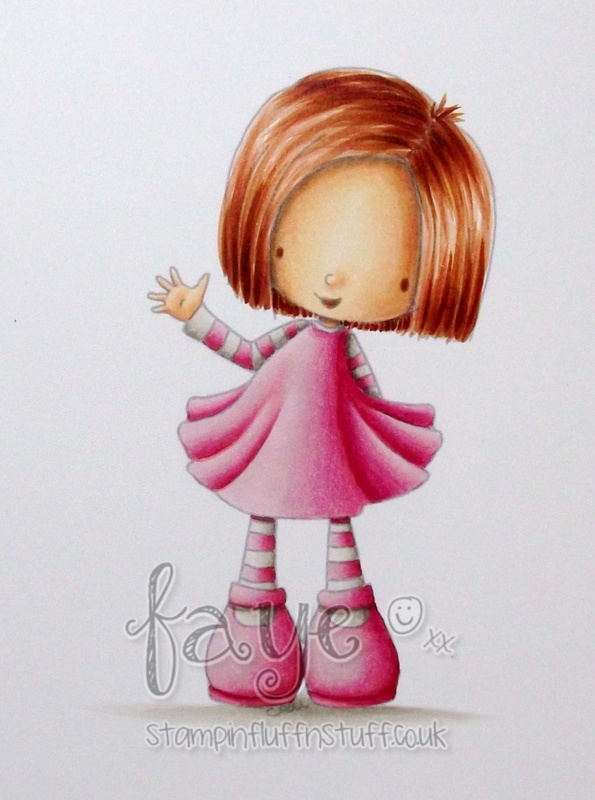 You coloured Ellie to perfection (she's also a fav or mine as you know), and to put her in my favourite pink combo......... well......... what can I say????? APART from LOOOOOOOOOOOOOVVVVVVVVVVE!!! 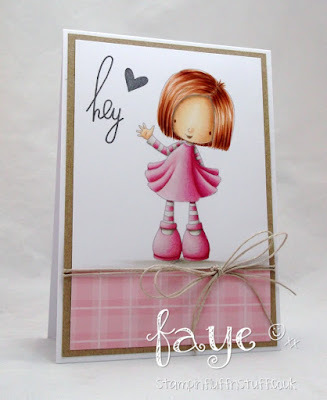 so gorgeous Faye.Really sweet image and your no lines colouring is A...MAZ.....ING!!!!! Oooooh LOVELY. I Love this pink colour combo. GORGEOUS. Her hair is fab too. LOVE HER!! !